He sought adventure, and found more than he had bargained for. Thistledown is the story of François, a wilful and restless young Frenchman who, in the early years of the 16th century, leaves his family home to travel to Scotland in search of adventure. Undaunted by strange warnings along the way, he soon finds himself in grave danger. Only after being hunted down and imprisoned does he discover why his arrival in Scotland has attracted so much attention. It seems he bears an uncanny resemblance to someone very important indeed. 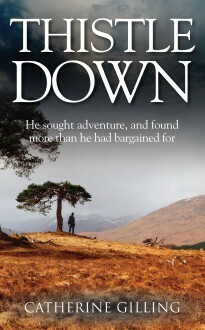 Thistledown is an ingenious and thrilling story of adventure, romance and political intrigue.